The biggest asset is the human mind and to make it excel, imparting education becomes one of the import steps. 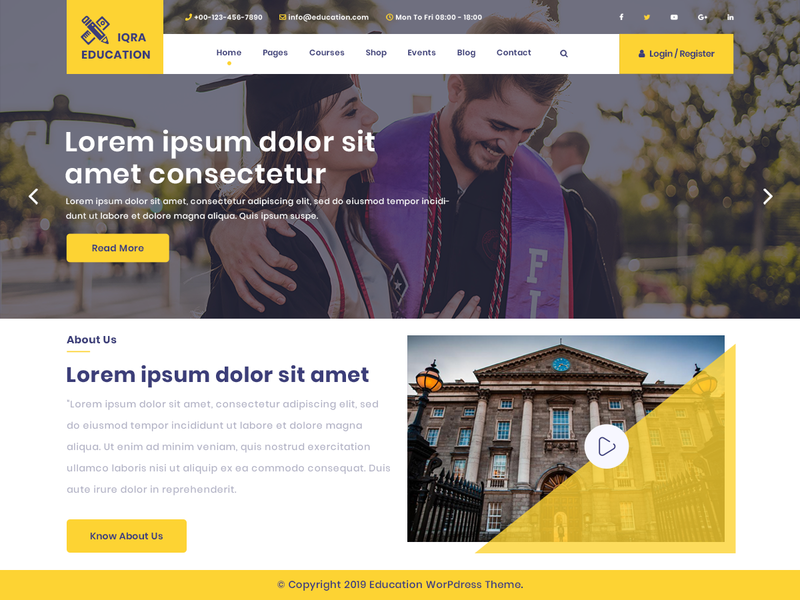 If you are interested to make an education website aesthetically pleasing, informative as well as engaging, you will feel the need of free education WordPress theme and the best part of it is that you do not have to invest. It comes all for free. This theme will surely accomplish the goal because of its dynamic features and apart from that; it has a layout that is totally responsive. The best part of it is you get the mobility of education as a student. This theme has the compatibility with the operating system and the web browser. The site owner gets freedom to work from any place. It also has the pre-designed layouts and one of the best things with free education WordPress theme is that it transforms site elements into the visual building blocks. With this free education WordPress theme, there is no need of coding or any knowledge of development because of its highly intuitive nature. Above all this theme has a practical design and you do not need to hire the experts related to web development. You will get the website with the modern search boxes permitting students to find the courses or the blog posts in just some seconds. Apart from that, this theme has a drag and drop tool for curriculum management. It has styling options and comes with a faster page load time.